In the year 2045, a L.A.P.D. detective and his new Android partner enter the Zone, which is a forbidden section of the city plagued with an unknown disease. Together, they discover the reason everyone is sick, and try to stop the illness. 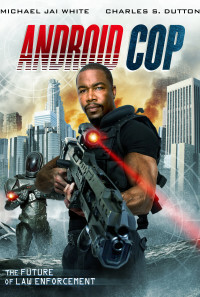 In the year 2045, a Los Angeles Police Department detective and his new Android partner enter the Zone, a forbidden section of the city plagued with an unknown disease. There, they discover the source of the illness and uncover a troubling Government Conspiracy at the center. Regions are unavailable for this movie. Click the "Watch on Netflix" button to find out if Android Cop is playing in your country.